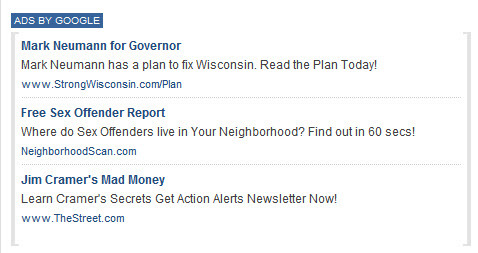 With just one day left before the Wisconsin primary, I seriously think that Mark Neumann should re-think his Google Ads. 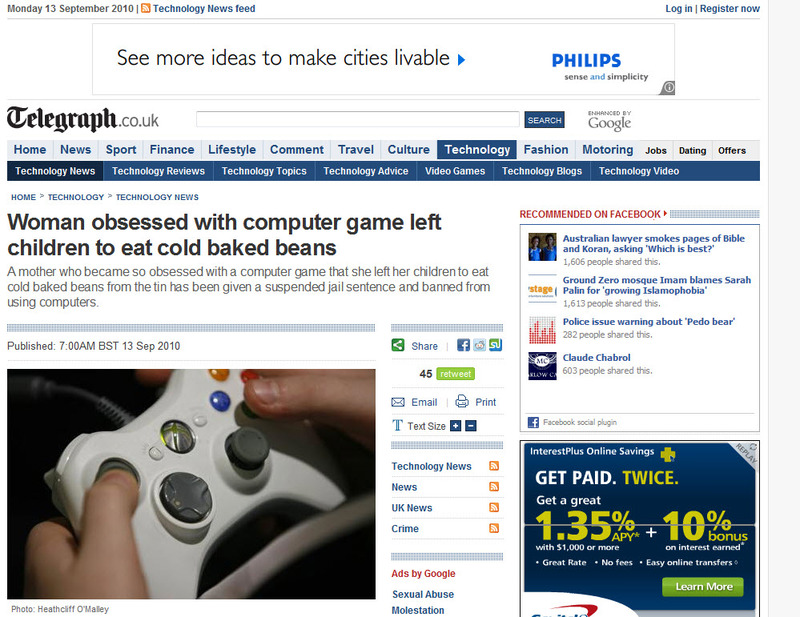 A co-worker sent me a link to a news story from the UK about a woman who has been so obsessed with a computer game that she neglected not only her children, but her dogs. Right there, at the bottom of the page, Mark Neumann for Governor. I mean, does he really want to be associated with a crazy lady who cannot balance video games with raising children? I know he has $2 million in his election war chest, but should he really be wasting it here? I would think more targeted ads would do better for him. If Neumann wins the Republican primary for Governor, I think he should have a long and serious talk with his Marketing people.